In the United States we have 1 trained pastor for every 250 people. Pastor Corey Kugle (on the right) and I are on our way to the capital of Zambia, Lusaka, to begin our Pathway training of a group of sixteen Zambian pastors in nine, week-long workshops over the next three years. In growing relationships around God’s Word, we will be coaching them how to better observe, understand, interpret, accurately apply and teach God’s Word. Between each of our nine workshops, each of these pastors will be training other pastors in these same bible study skills and tools. 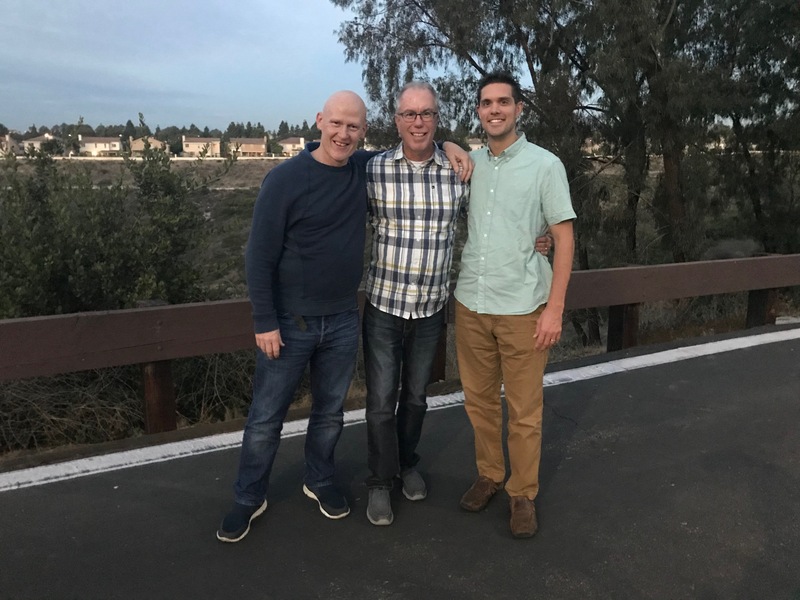 Please pray for Corey and me (and my future teammate, Simon Mawdsley, on the left) as we meet, connect with, and work together Monday May 28 through Friday June 1. On Saturday, June 2, I’ll travel with my Zambian brother Teddy Kamfwa to the town of Livingstone, Zambia where I will be leading a Pathways pre-training of about 50 local pastors. Our hope is to begin a second Pathways training workshop in Livingstone with a second group of 16 pastors who will then train other pastors. Please pray God will challenge and raise up His group of pastors in Livingstone. You can always follow our journeys, and learn more at pathwaysafrica.org. The Sunday after I return from Zambia I’ll be sharing about God’s workings through PathwaysAfrica at Paseo del Rey Church. You’re welcome to join us Sunday, June 10, 9am and 10.35am. I am so thankful and encouraged by many of you who have joined me with your financial partnership. I’m currently about one third of the way to my goal of $2800 per month. 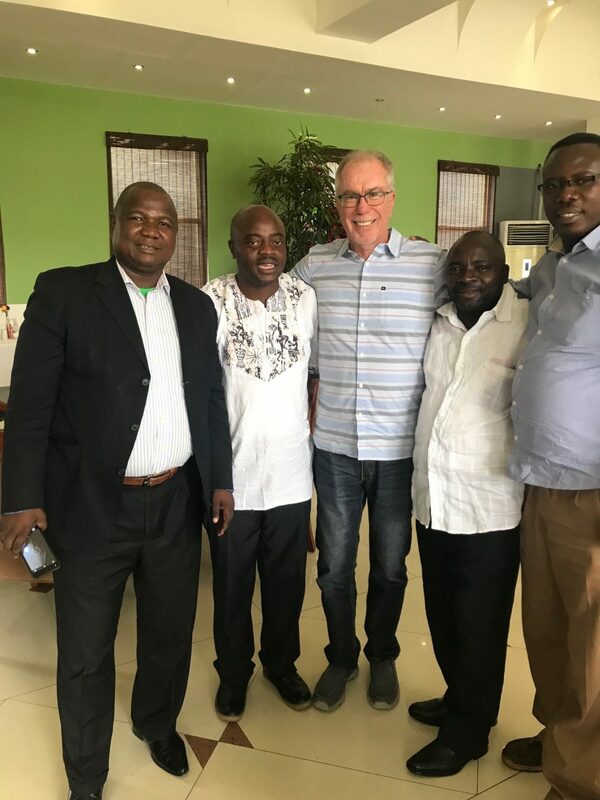 Your partnership will pay rich dividends in these pastors and their families and churches’ lives, and the pastors they train, for all of eternity. I’d like to invite others of you to invest prayers and finances with me in PathwaysAfrica. Would you prayerfully consider partnering in training pastors who train pastors by committing to $25, $50, $80, $150 a month, or a special annual gift? If you would like to join my team, go to pathwaysafrica.org and click Support Pathways. Or you can send your gifts directly to Paseo del Rey Church, memo “Pathways”, 900 Paseo del Rey, Chula Vista, CA 91910. All gifts are fully tax-deductible and you will receive a year-end receipt from the church.